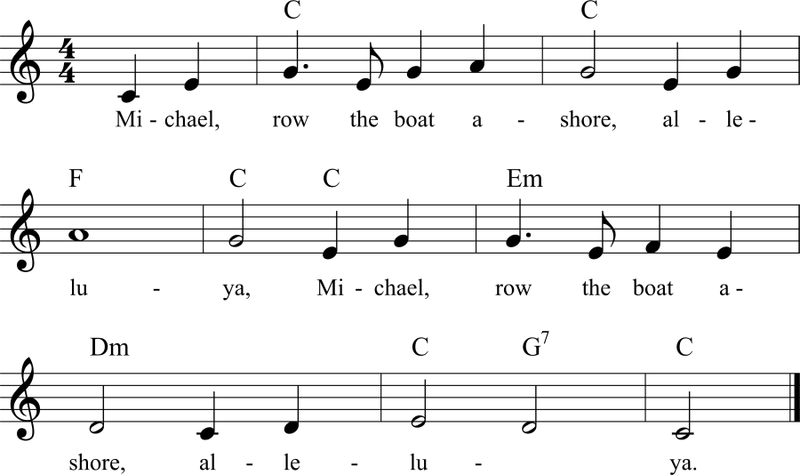 Das Lied wurde früher von amerikanischen Sklaven gesungen und erstmals 1867 in "Slave Songs of the United States" von Allen, Ware und Lucy McKim Garrison abgedruckt. Michael, row the boat ashore, alleluya. Sister, help to trim the sail, alleluya. Michael's boat's a gospel boat, alleluya. Chills the body but warms the soul, alleluya. Meet my mother on the other side, alleluya.